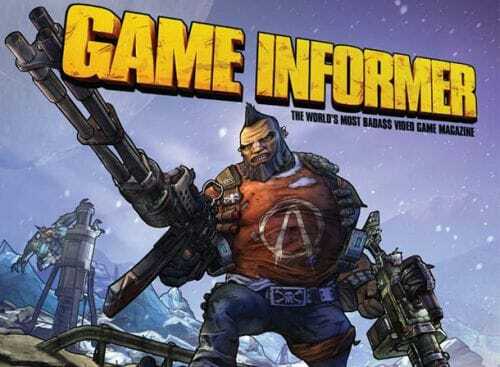 For those of you who have been watching the rumours regarding a possible Borderlands 2 release sometime in the near future, we can confirm that this latest rumor is true as sources close to certain games websites such as Eurogamer and GameInformer have been told it is in development. Although no official confirmation has been released by 2k Games or Gearbox Software, we expect that an announcement that confirms the games existence will be revealed soon. The first news that we heard about Borderlands 2 came in April, when Borderlands 2 was spotted on a game developers online CV. Previously, we also had unofficial confirmation that Randy Pitchford was going to work on a new game. Whether or not this was Borederlands 2 or not, we don’t know. But Pitchford did mention that he intended on re-visting the franchise at some point. On top of the news, GameInformer have gone all out by featuring Borderlands 2 on their September issue magazine. The feature contains 12 full pages of supposed screenshots and exclusive details from Borderlands 2, with a bunch of improvements that the developers have in store for us when we take our long awaited trip back to Pandora. The original Borderlands. which debuted on Wndows based machines, Xbox 360 and PlayStation 3 went on to recieve critical acclaim with all scores in the 80’s (out of 100) or in some cases 4s and 4.5s (out of 5) depending on what review you chose to read. Borderlands also went on to recieve the Xbox 360’s Game of the Year award at RPGLand and also named Runner-up for overall Game of the Year. So with no official announcement yet from 2k Games, but more of an announcement regarding a future announcement of Borderlands 2, we can take it that the game is all but confirmed. If indeed it does come to fruition, will you be looking forward to Borderlands 2? Update: Just as we were about to publish this post we heard official confirmation that the game was official!